I had some things on my mind during my morning workout today that were either stressing or depressing me. Somehow, the workout turned into a way to get mad at it all and was a terrific outlet for the garbage floating around my head. That kind of thing can happen to me often. My outlet could be working out, taking a solo bike ride, or playing video games if it’s late or raining. I really like it to be on my own and to have enough time to be aggressive then calm down towards the end. When you need to unplug. I’m not sure if it’s my introverted side, but there are times I simply need to unplug from whatever’s bothering me. I also can also need to unplug from people around me. Even after the workout, my wife looked at me and could see the look on my face. I did a good job, in my opinion anyway, of not being a jerk and getting over it since the thing bugging me had nothing to do with her or my family. She gave me a little joke which helped pull me the rest of the way out of my funk. Realize when you hear ticking in your head. For me, the first step to getting out of a funk is realizing that I’m in one to begin with. I can’t begin to fix myself until it hits me that my head isn’t right. This has gotten easier with time but getting upset can really sneak up on me at times and become a dark cloud. It really does take some conscious effort to be aware of the problem. From there, I can either push it aside and smile, exert myself, or talk it through. The first step is by far the most important for me. What’s critical is to make sure I don’t take it out on those around me. Blowing up at someone you care about for something that’s not their fault only makes things worse and leads to more problems. Even blowing up at someone when it is their fault leads directly to fall out. 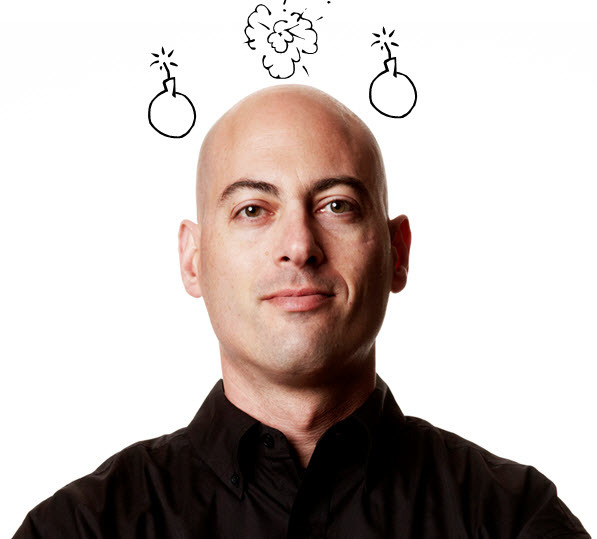 Unplugging from the problem is a good next step that keeps negativity from piling up. Not everything in life can be gotten away from. Sometimes I just find myself needing a break then I can come at the issue fresh or with a different outlook. When I’m really bent around an axle, I feel the need to isolate myself and deal with it on my own. That’s when exertion helps the most. I can jump on a bike and just hammer my way through the red haze then come out the other side with a clear head. There’s actually times when attacking mental challenges through physical effort is the best thing for me. This blog is another outlet for me to think through problems. How about you? Is it easy to disconnect from a problem and solve it? Are there certain things you look for to realize you’re in trouble and certain things you do to dig your way out? As an aside to wrap this up, the outlet picture above was an interesting case of the chicken and the egg. When I was working out, I realized that the effort was my outlet for frustration and that I was unplugging. That led me to think about writing this blog and that I’d need some pictures. 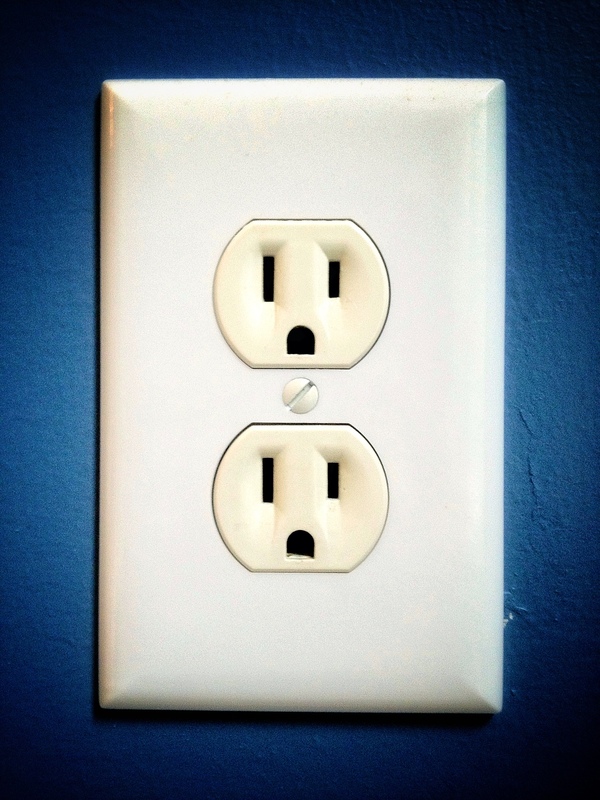 As I took and touched up the outlet picture above, their “faces” jumped out at me. Of course it hit me that I’d seen something similar before. I’d just reinvented it while going through a process. There’s some self therapy in that too, I suppose.